Our earlier article in the series traced the long history of the battle between Whitefield residents and the Graphite India plant, the polluting operations of which had become a serious hazard in the area. Interestingly, the role of the Karnataka State Pollution Control Board (KSPCB) itself came under the scanner as the tussle with GIL continued. However, ever since it issued a closure order back in October 2012, the KSPCB has been ostensibly active in its response to the issue involving GIL and the residents. On September 5, 2018, a media report stated that KSPCB was considering giving Consent for Operation (CFO) to GIL for another five years following the inspection by and recommendation of the Mahadevpura Regional Officer. The KSPCB called for a personal hearing of all the parties (complainants and GIL) on September 18th at the KSPCB Office. During that meeting, KSPCB Chairman Lakshman categorically stated that KSPCB will not be giving “Consent for Operation” to GIL. 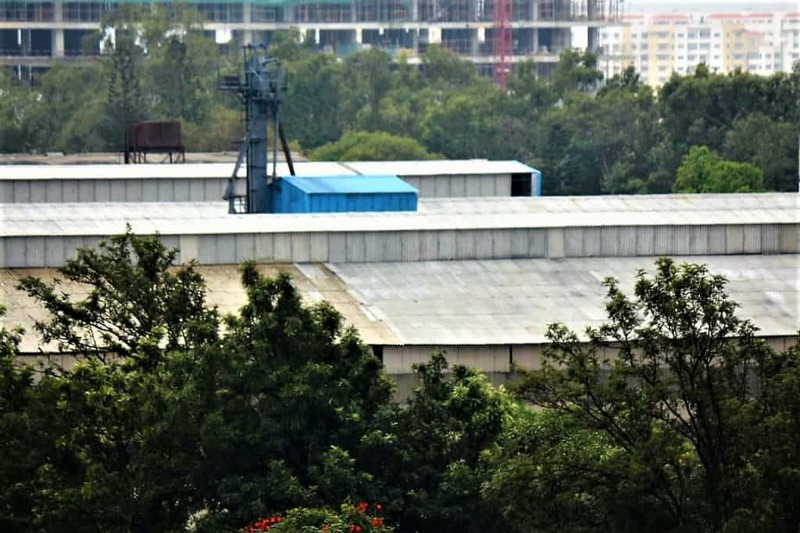 Based on this direction, complainants approached the Mahadevpura Police Station and filed a criminal complaint against GIL for operating their factory without legal consent, a move supported by the Bengaluru Central Member of Parliament P C Mohan. The GIL license to operate had ended in June 2018. The KSPCB Chairman personally visited the GIL factory on September 19th, 2018. 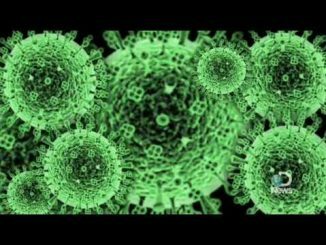 Prior to the factory visit, the Chairman went to RxDx Hospital and enquired with the staff (on the presence of black soot layer on the floor and across all surfaces; and the strong smell due to industrial production) and a hotel next to RxDx, Mapple. Merely by running his fingers on the tables at its restaurant, Lakshman was able to ascertain the presence of black soot. During his inspection of the GIL factory, he ascertained that GIL is yet to fix the leaky roofs that were highlighted by the KSPCB in 2012, the Appellate Court verdict of 2014 and in the KSPCB Inspection report of April 2017. Side panels and shingles were missing from the unit where the graphitization process took place, and due to this the fugitive dust was escaping to the environment, along with strong odour due to industrial process. A formal statement from the authority is awaited still. What has the future in store for Whitefield? Following the SC order and the KSPCB denial to give the CFO, GIL issued a clarification to the National Stock Exchange (NSE) and the Bombay Stock Exchange (BSE) where it is listed, claiming they were a “law-abiding entity” that gave “utmost importance towards statutory compliance” including environment matters. However, there have been allegations by residents that GIL, in its letter to the stock exchanges, has resorted to a blatant lie. Apparently GIL mentioned that they had applied for CFO well in time, whereas according to official records, the company had applied for renewed consent for its operations in Whitefield, Bengaluru only on August 4th. Its previous tenure by consent had ended on June 30, 2018 though. There have been complaints to this effect made to the stock exchanges and SEBI by the residents. According to a statement given by GIL to the Bombay Stock Exchange, the company has blamed traffic in the area as the primary source of air pollution and mentioned that it had already taken corrective measures for 3 out of the 4 directives by the KSPCB. 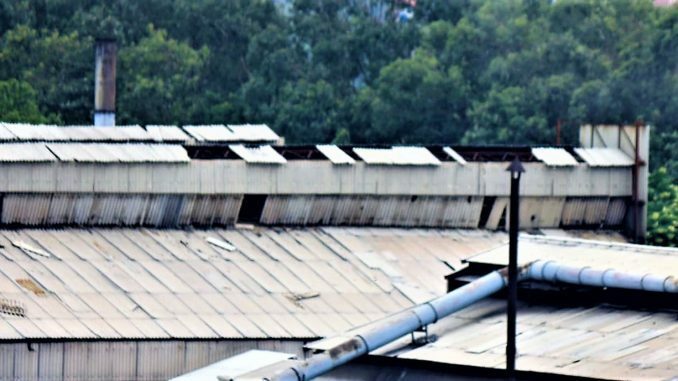 The Bengaluru plant has voluntarily initiated the process of halting the manufacturing process for repair of the broken roof sheets. The shutting down of the furnaces will further accelerate the process of revamping, which could then be completed by November 2018, as declared in the statement to the BSE. In the same statement, it also said that it would commence manufacturing after the repairs and apply for a fresh CFO from KSPCB. Several attempts to meet GIL authorities or get a formal statement on the SC order failed. A senior official at the Kolkata office of GIL refused to comment on the future course of action, and asked this reporter to contact the plant manager in Whitefield. The spokesperson at the Whitefield factory (plant manager) is reportedly on leave. Permission to visit any other official at the Bangalore plant was denied. Abdul (name changed on request), a tea and cigarette shop owner near the factory feels life will go on, pollution or not. His customer base consists of visitors and some labourers from the GIL factory and passersby. “I am not educated enough to tell you how serious the air pollution issue is, but yes, even I could see the black soot in my shop earlier. I hope the factory follows rules and continues operations, it provides employment and gives me and small vendors like me indirect business”, he said. “Hope GIL now rectifies its mistakes and complies with norms, as we understand they are temporarily shutting down to repair broken roofs after which they will obtain a fresh CFO from KSPCB to restart. We all need to be vigilant including KSPCB; otherwise it will be back to square one — after all we are in India isn’t it?” said another grocery shop owner some distance away from the factory.